We have been in business since 1984 and that makes us well over 30 years old…….how time flies when you are having fun. In this section we explain something more about the company, our product range which is all silver jewellery in both gem set and plain silver, sales information and our policy to returns. We also give you a feel about what some customers say about us in some Testimonials. 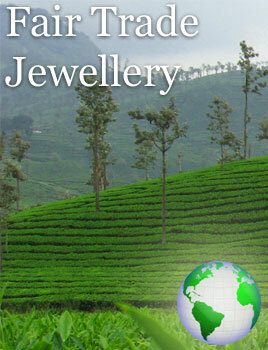 Marjo was established in 1984 importing gem-set silver jewellery from India. Since then we have expanded to become one the largest suppliers of this type of jewellery to the independent trade in the UK. We have thousands of customers that order regularly from us and as a SME and we employ an average of 12 people in part-time and full-time employment. 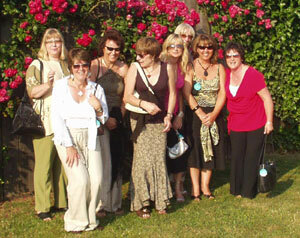 Marjo has the largest collection of gem-set silver jewellery in the UK. We have collections in over 50 different types of stone plus a great diversity of one-off items. We have over 750 designs in total and each of these designs comes in a variety of stones. New collections are introduced every six months and one off items are also introduced regularly. The silver is all sterling (.925) and where necessary it is hallmarked by the Sheffield assay office. It is not legally required to assay products under 7.7gms of silver weight. The gems we use are pre-selected and are all natural in either cabochon style or faceted. Marjo covers products in all aspects of jewellery, including earrings, necklaces, bracelets, pendants and rings. We even do toe-rings and ankle-chains. We do not do any male jewellery. Local artists design the jewellery mostly in the UK and we have a working relationship with Kent's University College of Creative Arts and several other freelance designers. The jewellery is manufactured in over 7 different countries depending on the type of stone and the type of jewellery required. We sell nation-wide via agents, catalogues, the internet, telesales and trade shows. Our minimum initial order is £250 (via agents), justified on the basis that this is the minimum to create a sensible collection in gemset jewelllery. Our carriage paid order is £200. Delivery is maximum 72 hours but usually it is 48 if an order is place in a.m. First order is subject to credit or pro-forma. Credit is strictly 30 days. Payment can be made via credit card (most credit cards accepted), BACS, or cheque. We do not operate a sale or return policy. Marjo will comply with all statutory rights of customers in exchanging faulty product or product which, in any way, does not meet the original specification. We will accept customers' returns, based on the above conditions, within one week of receiving the merchandise. All goods returned may be exchanged for: a) a similar product, b) another product of similar value or, c) a credit note for the same value as the invoice, depending on the customers' wishes and/or stock availability. Marjo will not issue cheques to customers unless the customer wishes to close their account. After one week we reserve the right not to accept returns from customers unless those products are faulty or do not meet the original specification. We reserve the right to refuse any returns from customers if: The product has been sold to the end user and it is not in the condition in which it was originally sold. The product has been sold for over six months. The product has been modified or changed in any way. Access our catalogue now - it's easy! Why is fair trade important? After 15 years we are closing but before we do so we specially wanted to write to all of you in Marjo and thank you for all your support over all these years. You have always been so helpful and Peter and I thank you for all your support.